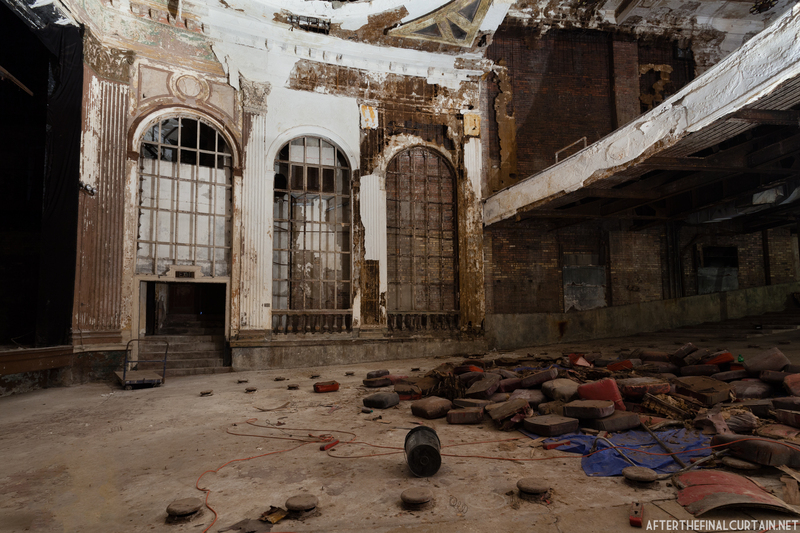 The Grand is one of the 22 theaters in my new book “After the Final Curtain: The Fall of the American Movie Theater.” Find out more here. All of the seats have been recently removed due to the upcoming restoration. The Grand Theatre building was built in 1885 by German immigrant Jacob Griesinger, Sr. in Steubenville, Ohio. It originally housed a saloon, restaurant and livery stables. In 1924, the building was taken over by Charles, Edward, Howard and William Biggio. 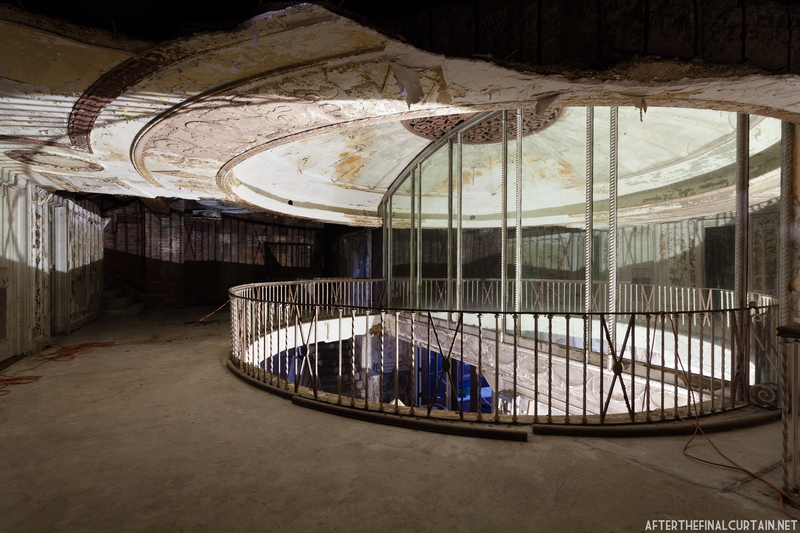 The four brothers had the stables torn down and constructed the Grand Theatre auditorium in its place. View of the balcony from the main level. 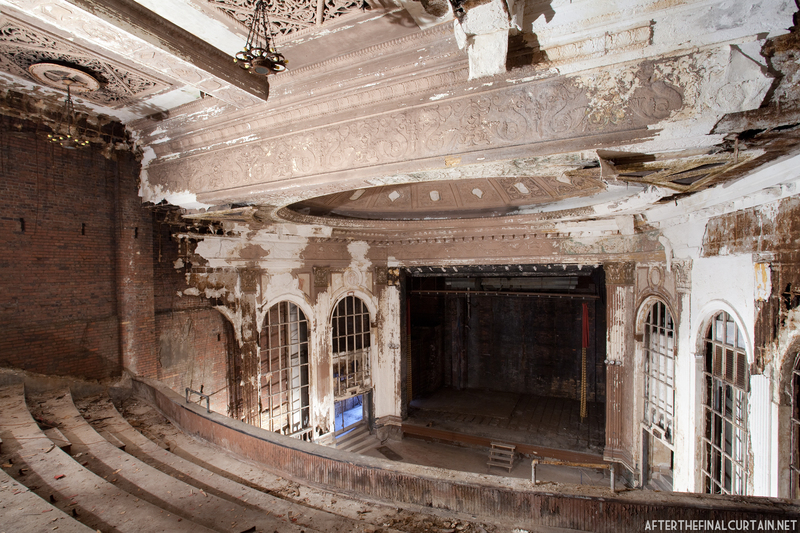 Originally showing live entertainment, the Grand was eventually converted into a movie theater. 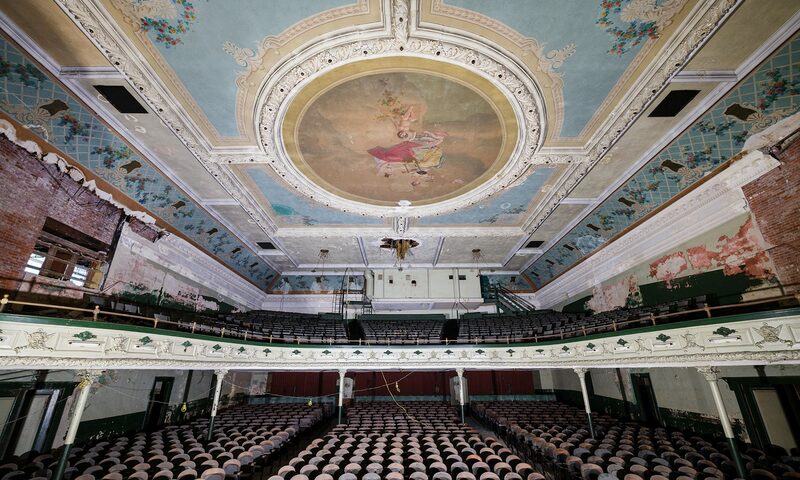 The Grand has the distinction of being the first air-conditioned theater in Ohio. In 1979, the Grand Theatre closed for the first time. It briefly reopened and showed a few films before closing for good in the early 1980s. Since closing, the Grand Theatre building was used for a number of different things, including storage for a local thrift shop. In 2010, the building was purchased by the Grand Theatre Restoration Project. 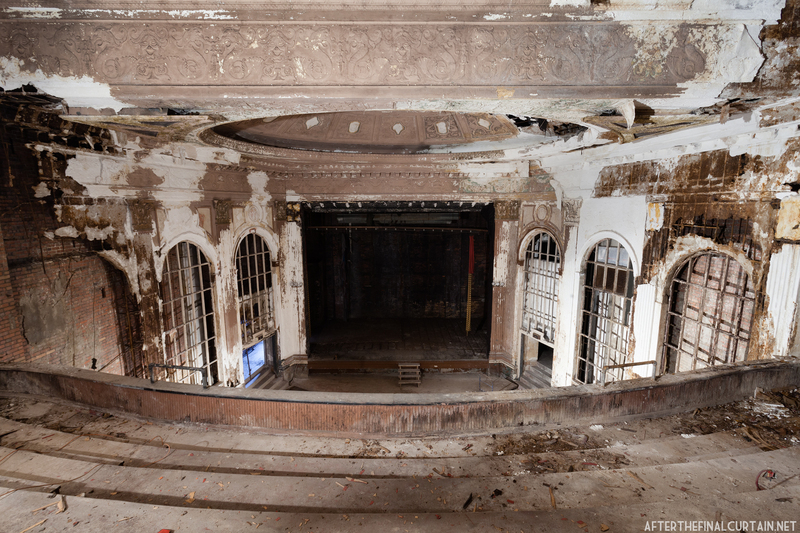 The Grand Theatre Restoration Project, led by Scott Dressel, plans to restore and renovate the theater into a performing arts center and museum. Renovation has begun, and the lobby has already been completely restored. 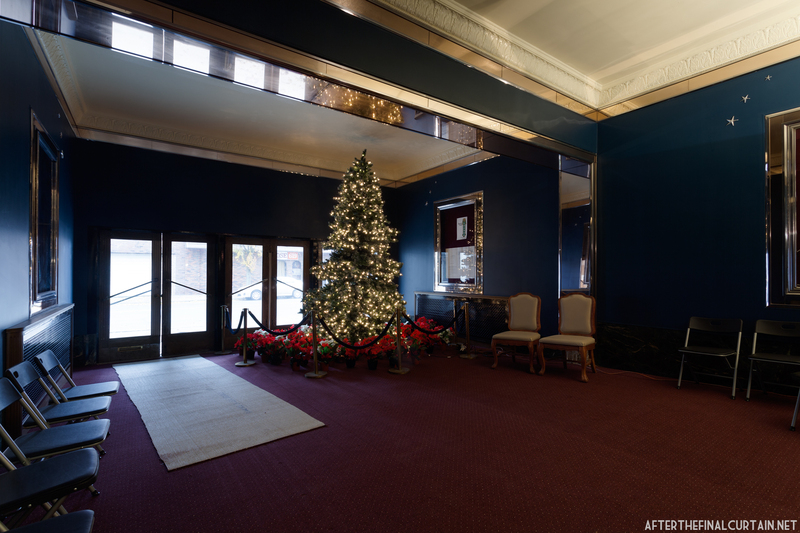 The lobby is completely restored and decorated for the holidays. 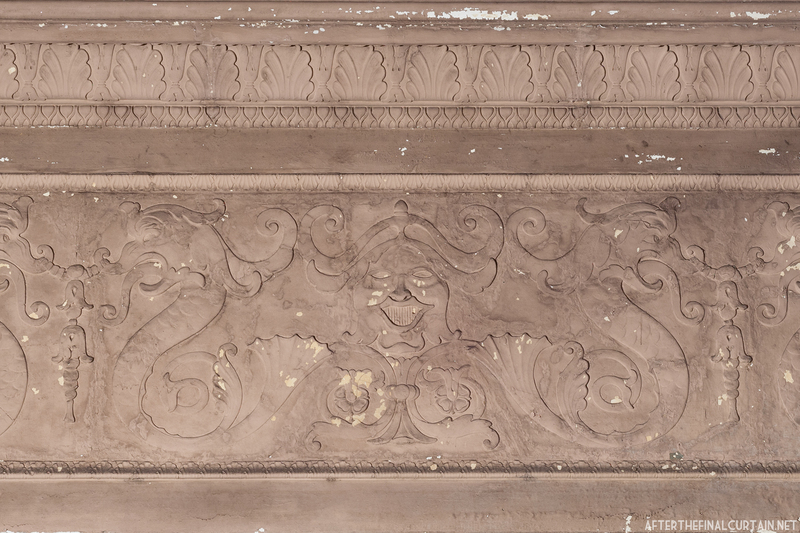 A face in plaster-work above the balcony. 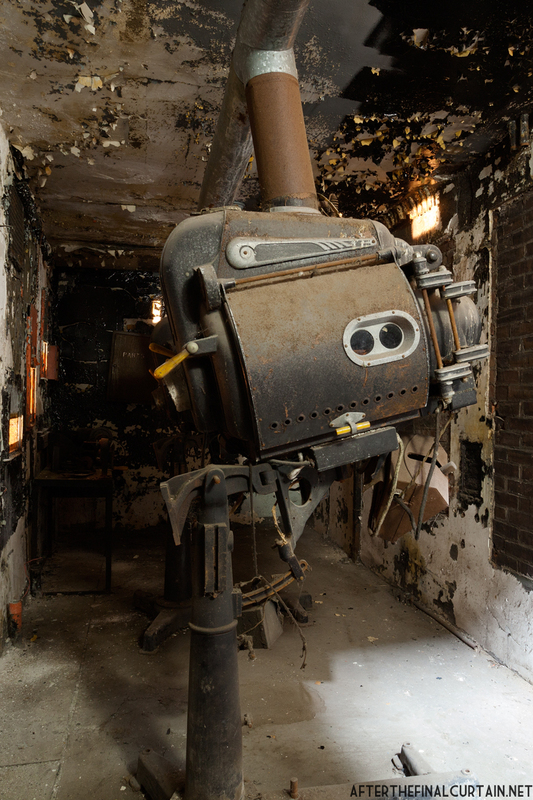 Some of the projection equipment was left behind when the theater closed. 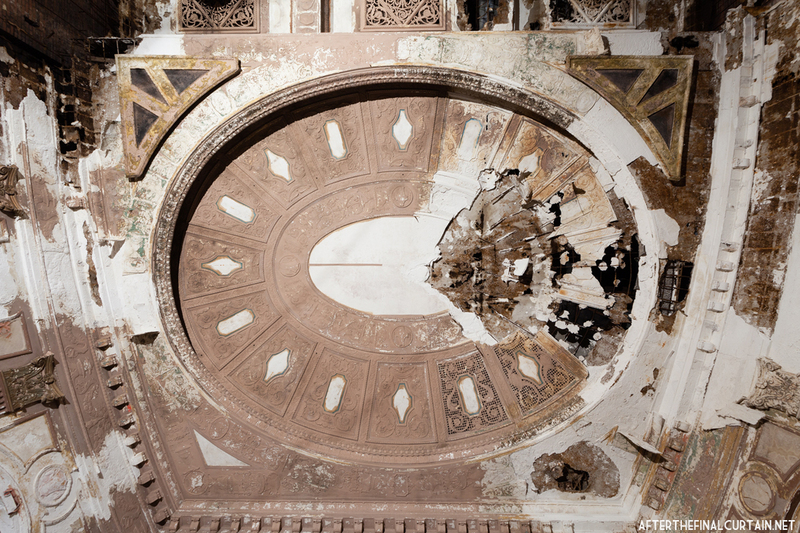 The auditorium ceiling suffered a lot of water damage while the theater was closed. 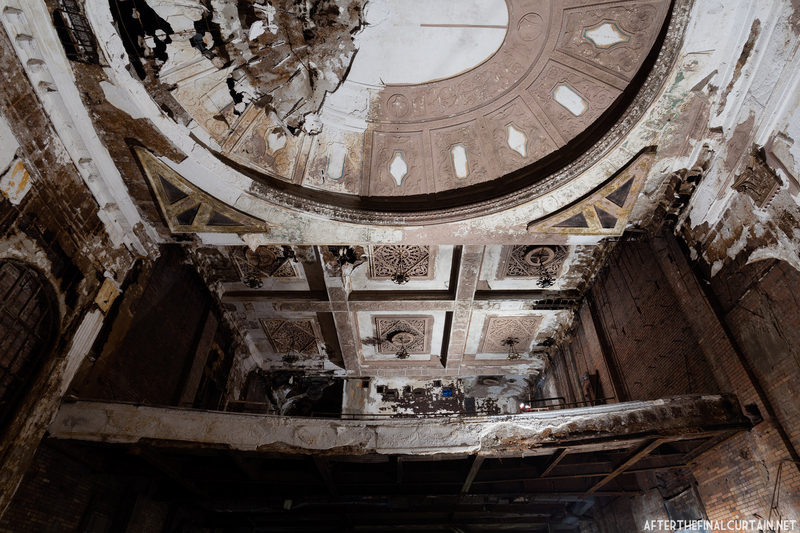 The remains of theater seating cover the main level of the auditorium. 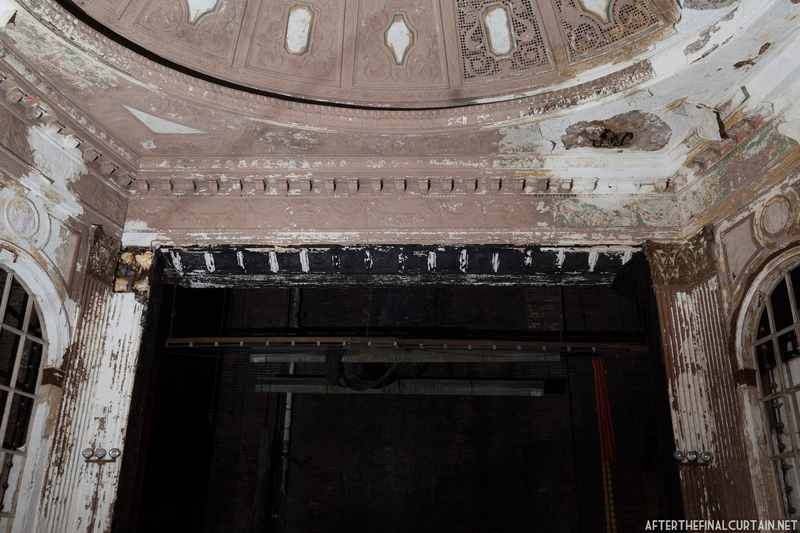 The theater’s proscenium arch was also water damaged while the theater was closed. This is fascinating to read! How do you get permission to tour these buildings? Thanks. Getting permission isn’t easy. It takes a lot of phone calls to the right people. I am totally obsessed with this site! Thank you for sharing! I would love to look at the stage. I’m a theatre technician and work mostly in Wheeling WV. I have been in the valley my entire life. I honestly didn’t know this theatre existed but then again when it closed I was only around 20. As a grammar school age child in 1957 and 1958 my friends and I could almost always be found Saturday mornings at the Grand Theater or the Capital Theater or some times the little Ohio Theater around the corner watching cartoons and those great scary movies. We lived in Steubenville and walked to the theaters.